all photos Lee Lau unless otherwise noted. 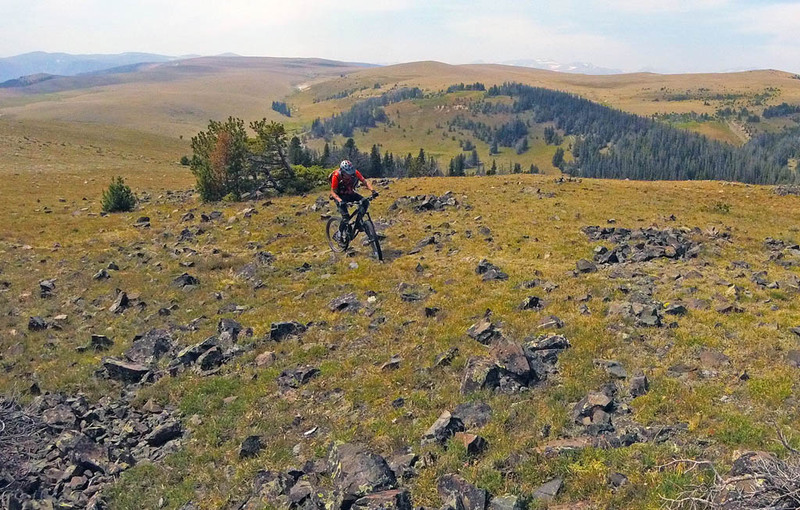 This is part two in a three-part series exploring mountain bike trails that are under threat of closure in Montana due to Wilderness litigation. Read part one and two. 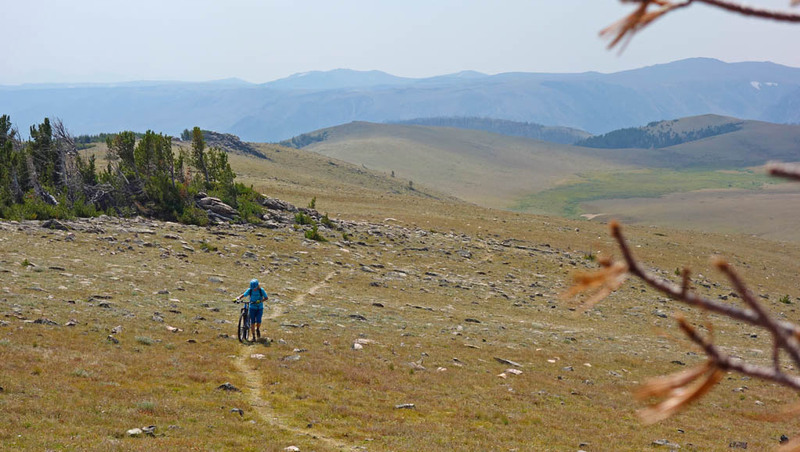 Following our rides in the Lionhead we took our time wandering through Yellowstone National Park and then over toward our next destination just south of Red Lodge Montana via the Beartooth Highway. We ended up getting a campsite at the Greenough campground just north of Beartooth Pass. 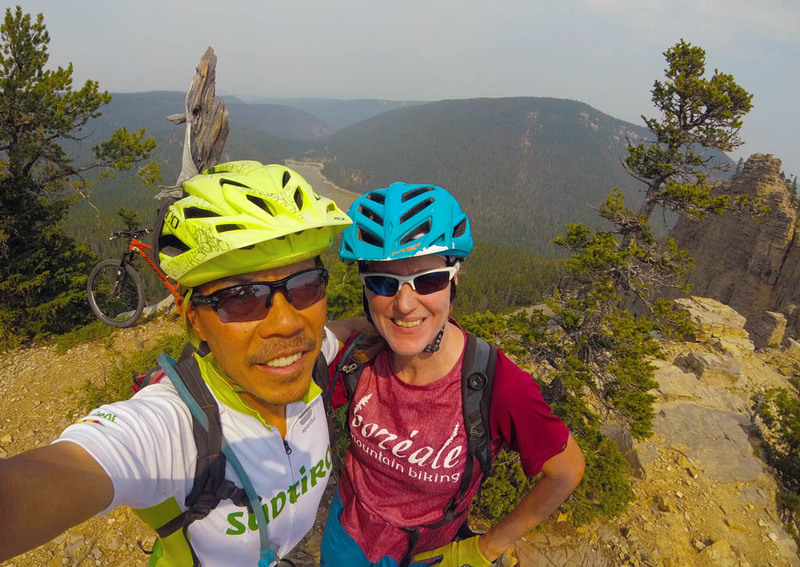 Sharon, Kevin, and I had the privilege of riding the Line Creek Plateau which is also known as Beartooth Plateau. By the end, we all agreed it was one of the preeminent alpine riding experiences we’ve had worldwide (and we’ve ridden many places). 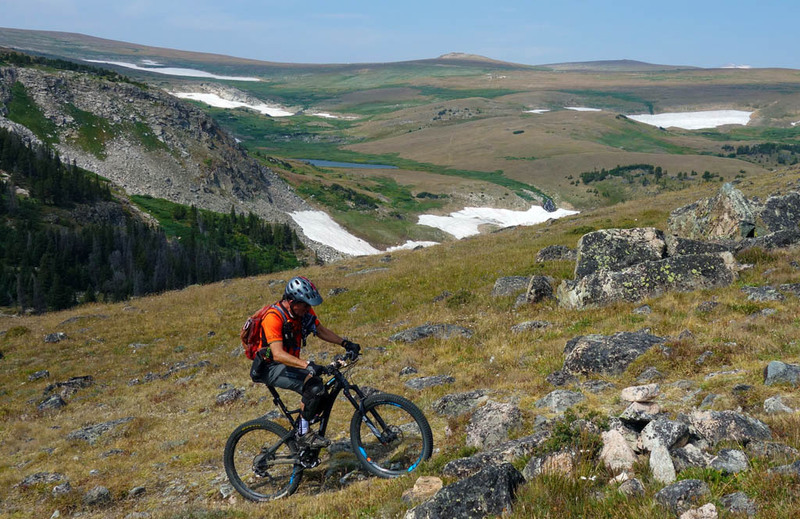 At 27km long, the trail spends the bulk of its time between 3,050m and 2,850m on high alpine tundra. The last 8km descends the flanks of Mt. 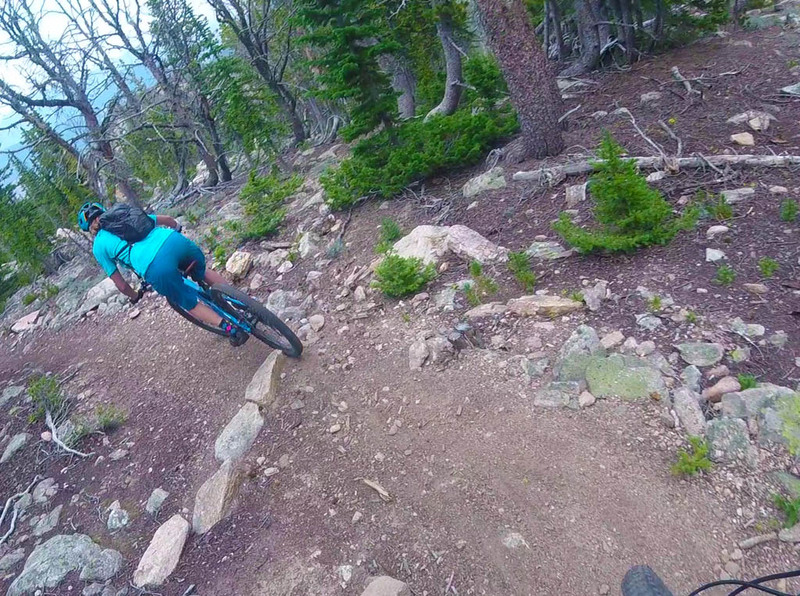 Maurice via wonderfully benchcut singletrack with some impressive shark-toothed waterbars. Line Creek is relatively easy to access as one can drive right to the trailhead. However, not many mountain bikers ride here. 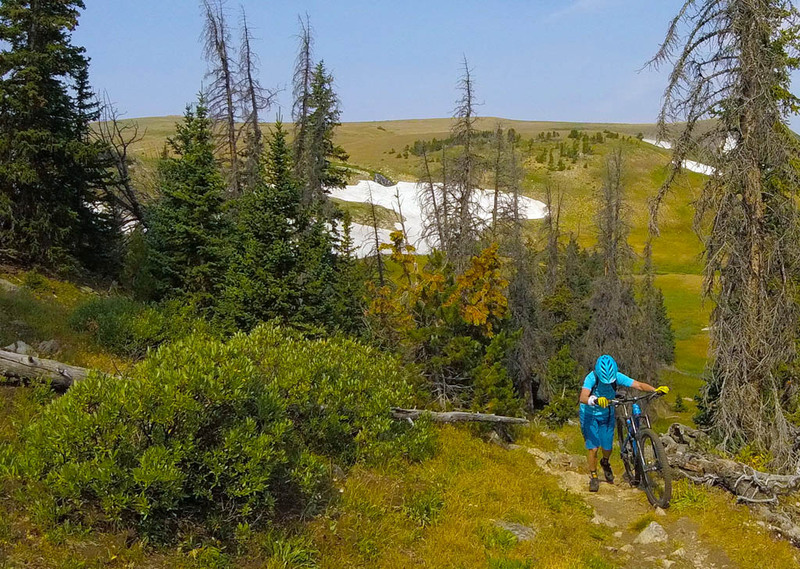 One reason few riders make the trip is due to the exceptionally short riding season; the trail only melts out in late June/early July and frequently receives snowfall in mid September. Because the trail is located on a high alpine plateau, weather can come in quickly and without much warning. Without any shelter, trapped parties will be in big trouble. Travel quickly, be aware of where you are, and consider the limited exit possibilities. 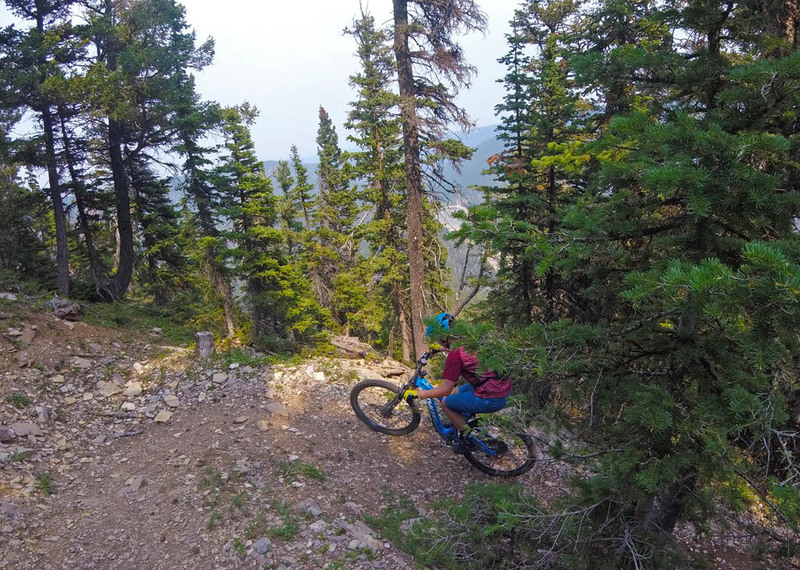 Dropping in at 3,100m from the Line Creek trailhead. A re-routed section of trail drops to the creek bed instead of climbing the old route to looker’s right to a small knoll. Instead of two small climbs you get one medium climb from 2,935m back to 3,060m. It’s generally no big deal but the air feels thin to us. Topping out at approximately 3,060m following the only meaningful climb of the day. These views go on forever. Route finding on Line Creek can be best described as “it depends.” There simply aren’t many trail users at this elevation. Cairns do mark the route but in places the singletrack is faint and tough to spot. If anything, the trails become more defined as the season wears on. I suspect it would be an even more challenging route finding exercise if there was still substantial alpine snow on the trail. There are quite a few hiking and horsepacking trails wandering off the main route (the USFS map describes it here) as well as game and stock trails, so don’t be distracted. If in doubt, look at your map. 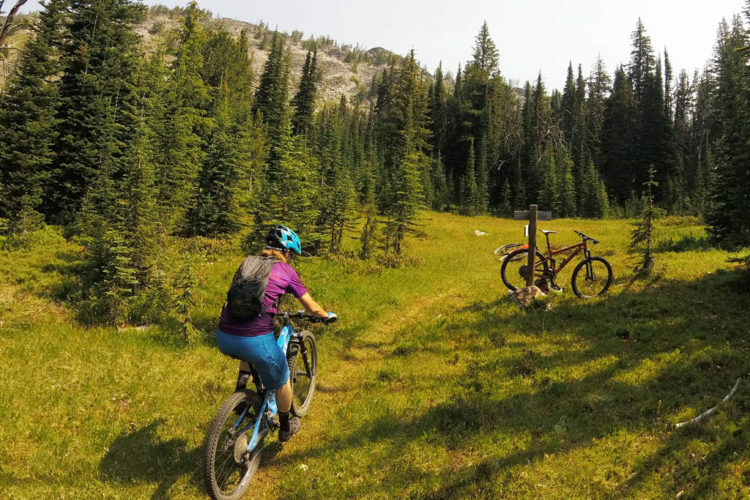 The only key junction which may be an issue is the Corral Creek turnoff which cuts out a chunk of alpine riding and drops off prematurely from the ridgeline. The start of approximately 16km of pure alpine tundra. The singletrack in this picture apparently only materializes toward mid summer as the traffic on the trail increases. We saw no other people on trail this fine day. 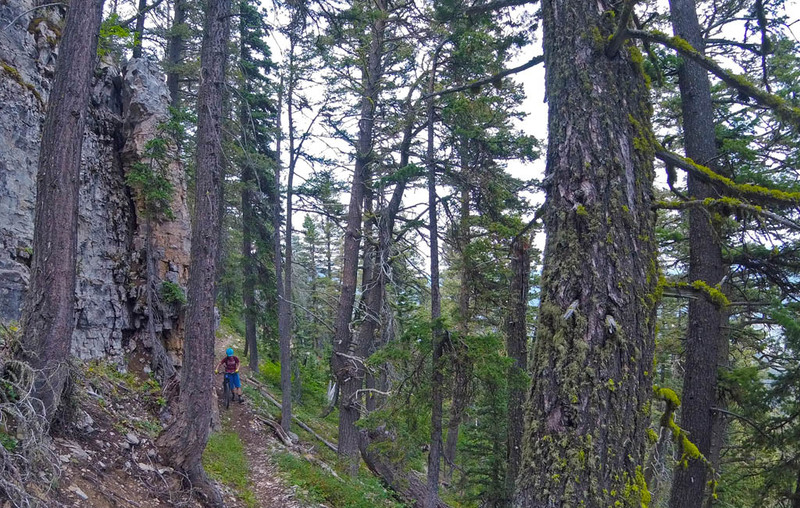 Crossing the Corral Creek drainage and climbing on to the last bit of ridgeline. Toward the end of Ridgeline there is some volcanic rock action as the Mt. Maurice geology kicks in. Dropping in on the Mt. 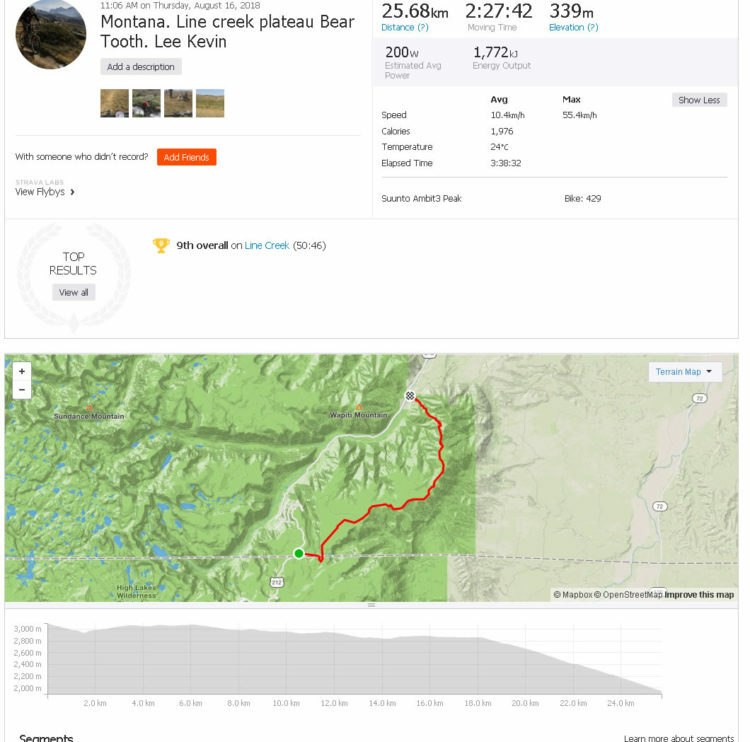 Maurice trail to complete the Line Creek Plateau. The final descent to the valley floor at 1,960m see vegetation change dramatically to conifer and sage. 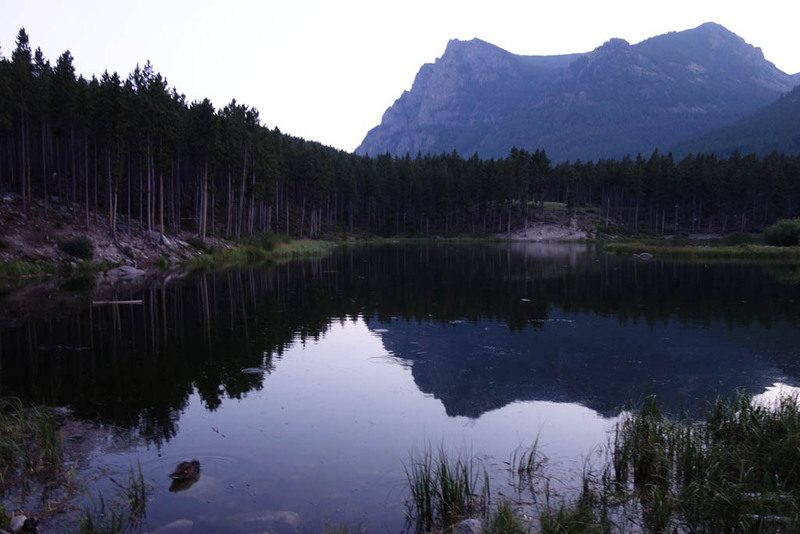 Sadly the Wilderness movement is lobbying to have a chunk of Line Creek moved to Wilderness Study designation in an effort to expand the Absaroka-Beartooth Wilderness. This particular Wilderness initiative would be aimed at the Beartooth Ranger District which is part of US Forest Service Region 1. 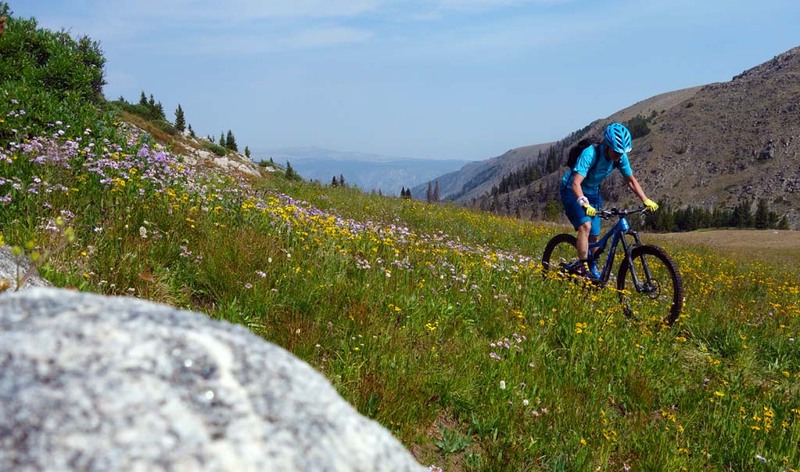 As previously detailed in part 2 of this series, USFS Region 1 is a captured thrall of the Wilderness movement; they seem willing to sacrifice mountain biking and turn turtle at the slightest hint of litigation. 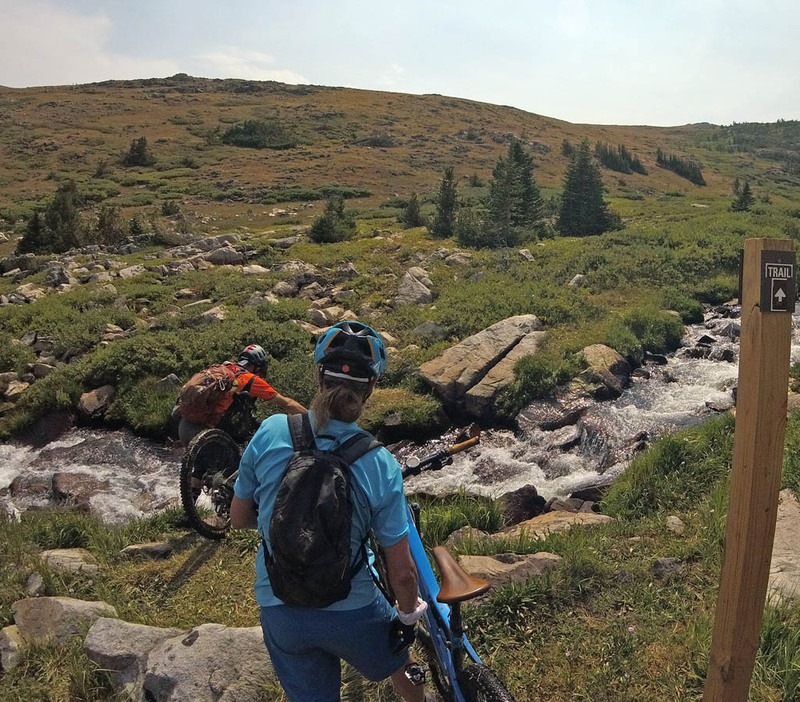 Therefore, relish the Line Creek experience on your bike (respectfully) while you can. One day there could very well be a ranger at the trailhead telling you that your bikes are forbidden. 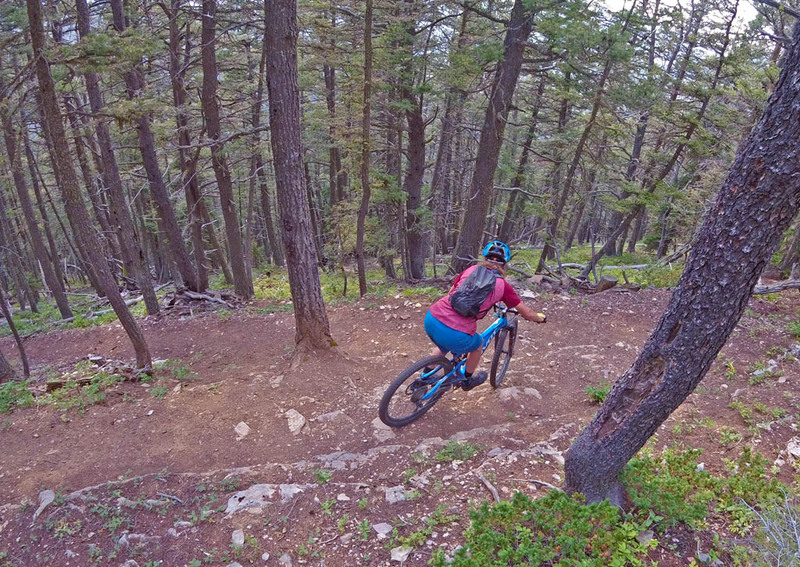 Until then, enjoy one of the continent’s preeminent continuous singletrack mountain biking experiences. 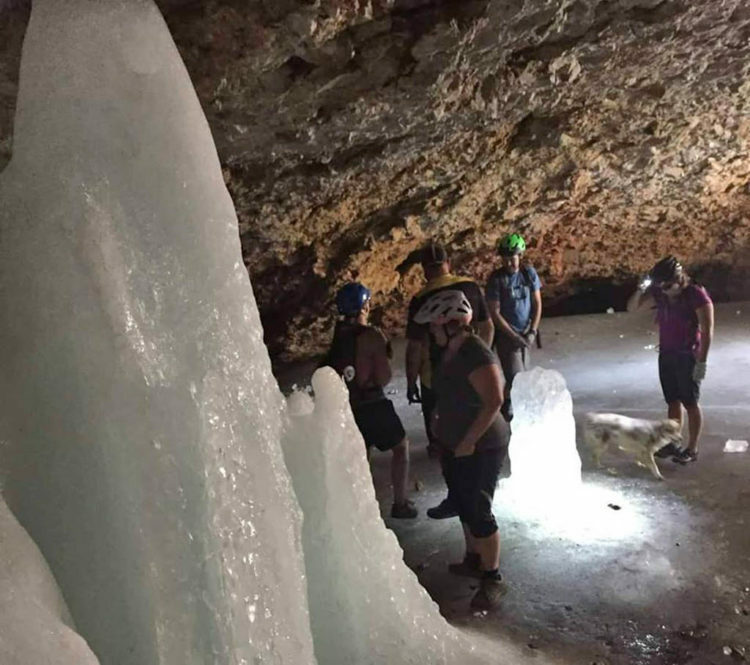 Tucked away in the Big Snowy Mountain Range near Lewiston, Montana the Ice Caves route isn’t long, doesn’t involve a huge death march, and isn’t entirely in the alpine. 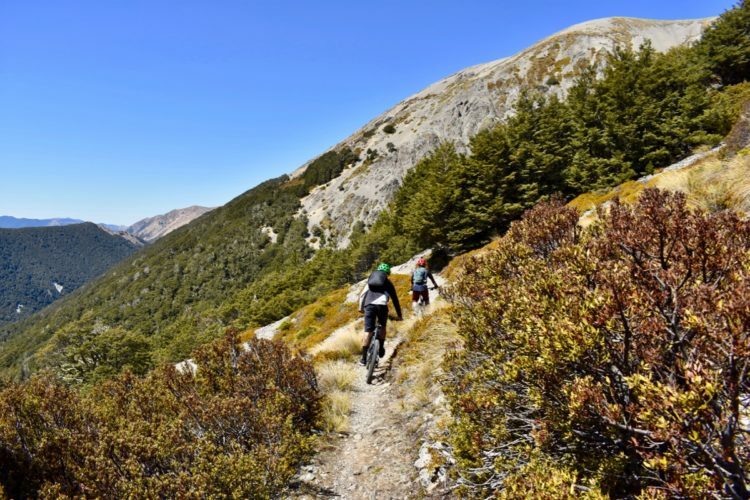 It is, however, a gem combining a sequence of various geological features linked by a climbable singletrack ascent followed by an entertaining, loose, exposed, and narrow descent. It’s a high-quality trail in its own right and is further uniquely defined by running close to two year-round ice caves. 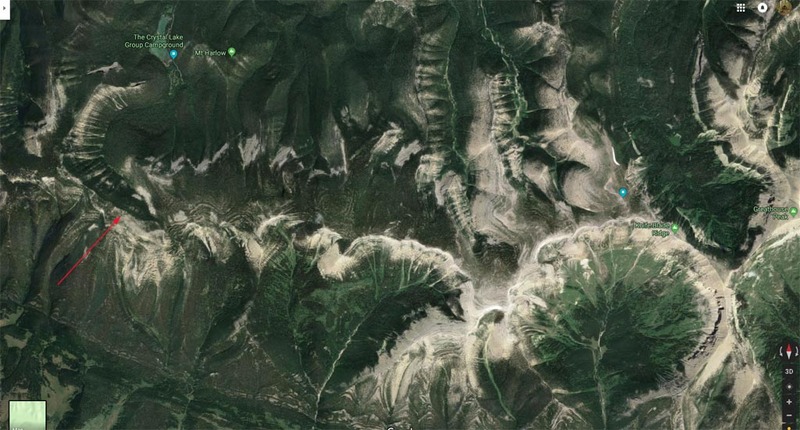 The Big Snowy mountains rise only 700-800m above the surrounding high valley plateau. These mountains are a classic Montana “island range” (ie one that extrudes at seemingly random points probably as a combination of tectonic activity plus differential erosive forces). However, their semi-circular cirque arrangement capped by ridges protruding from their natural amphitheater affords superlative views. 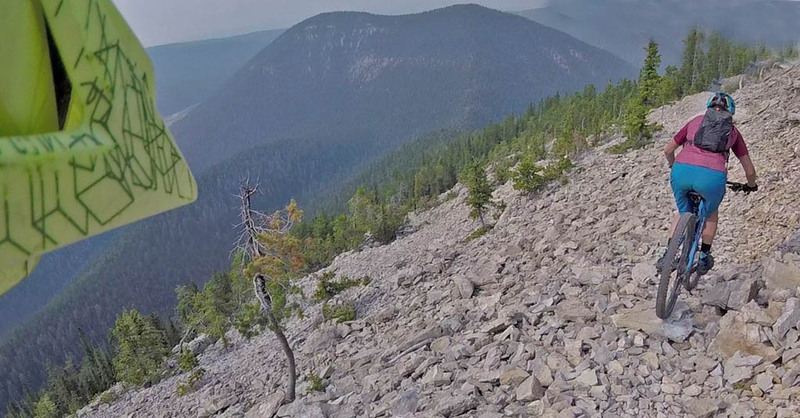 This ride is another Montana alpine classic facing closure as it has the double headed black mamba misfortune of being in a Wilderness Study Area while being proposed for Recommended Wilderness. Enjoy it while you can! Opportunities abound for side trips on the Grandview Ice Caves loop. 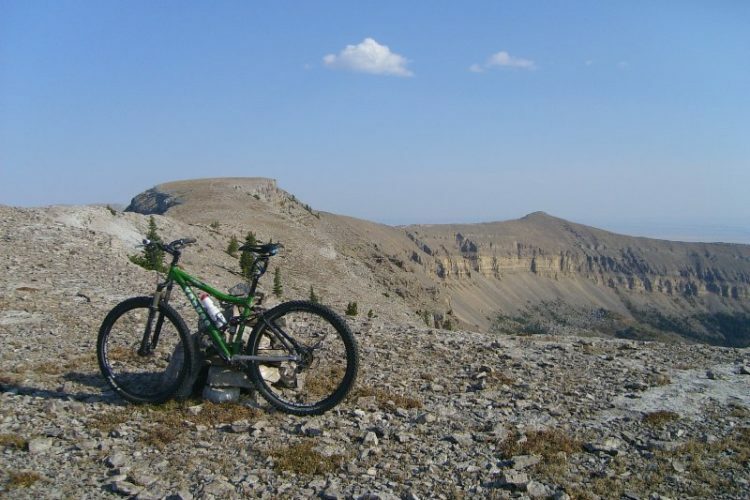 For example, riders can easily bike out on Knifeblade Ridge to Greathouse Peak. 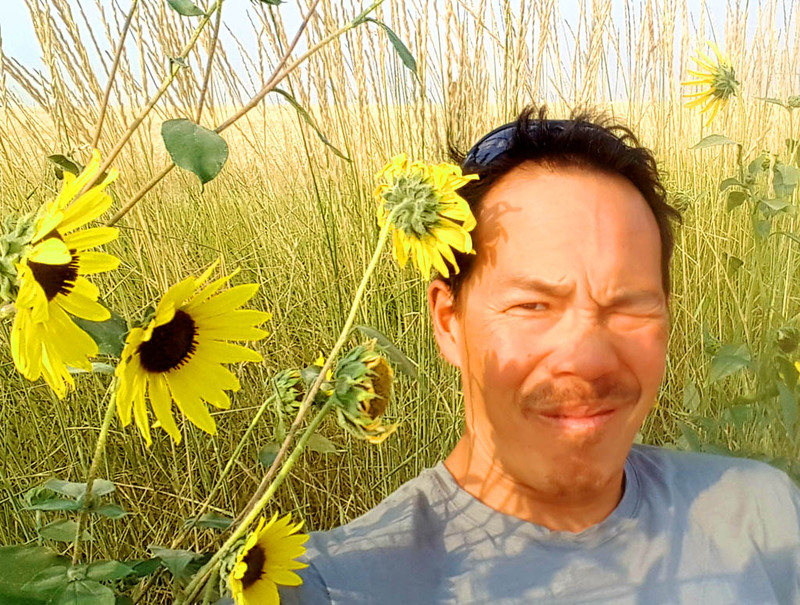 Sunflower spectaculars on the road into the Crystal Lake campground. The Ice Caves route is just 19.3km long with 797m of elevation gain. Options exist to extend it by turning off after the climb to the top of the flat plateau at 2,650m, proceeding east along Knifeblade Ridge (it’s actually quite wide), followed by a meander along the ridgeline toward Greathouse Peak. This adds more views, distance, and perhaps a tad more climbing. The US Forest Service has clearcut the Crystal Lake Campground and base area for forest maintenance purposes so the trailhead is somewhat blocked by fallen trees. You start off with doubletrack beside the campground bathrooms which then becomes climbing singletrack next to the lake. Junctions are well-marked with the climb up the Grandview trail signed. Plod your way up to the east-west ridgeline view. 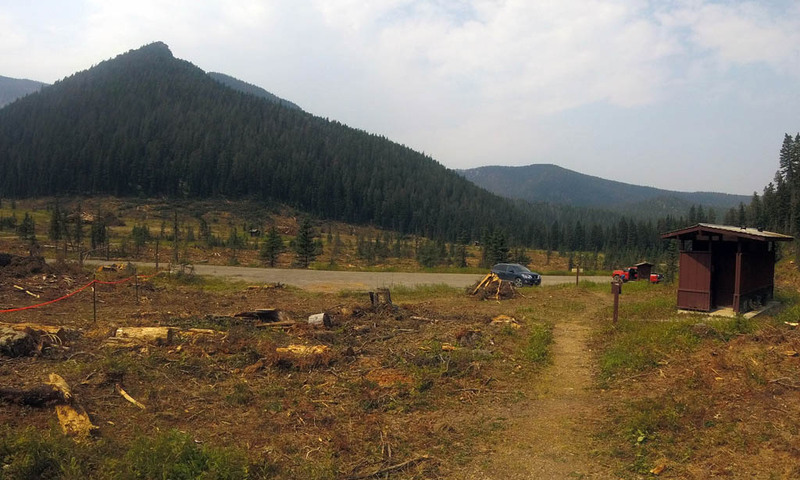 The trailhead starts at 1,850m and features a gradual meandering climb at the beginning. As you get closer to the (first) Grandview viewpoint at about 2,100m there are rock bluffs indicating the uplifted seabed floor origin of the terrain and a gradual steepening of the grade. The first Grandview Viewpoint. You can see clearly to Crystal Lake. As riders clear the ridgeline toward 2,300m, the incline steepens and the scree gets more broken. Unfortunately on this day we had smoke from Canadian forest fires making for sub-par views and scratchy throats. Well this would surely have been quite a view. At the Grandview trail high point of approximately 2,500m, the ridgeline views of the Big Snowys to the north and the Mussellshell range to the south would have been spectacular. But alas, not today. The Grandview ridgeline trail is up and down, then meanders toward flats just before the Ice Caves. 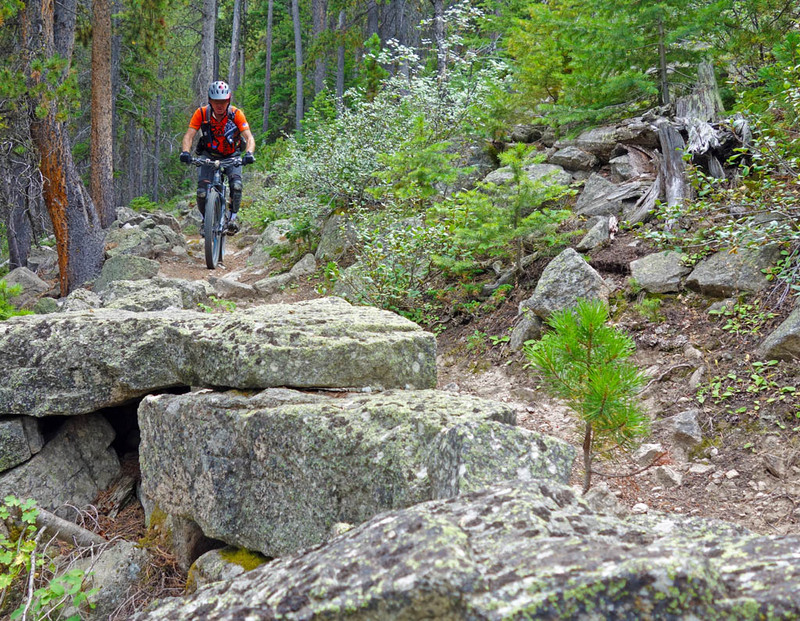 Photo from the Montana Mountain Bike Alliance. Unfortunately when we got to the Ice Caves the permanent ice features had dwindled in the summer heat and were less impressive-looking. For some 2km or so past the marked Ice Caves turnoff, riders meander through the beginnings of subalpine terrain, but the trail gently descends again to pine forest where the junction toward Knifeblade Ridge is marked as 493 or “Greathouse.” From there riders can do an out-and-back ridgeline meander. This is also the payoff of the “Ice Caves” aka Uhlhorn descent. It’s tight, it’s loose, and in sections it’s exposed with scree sections. The descent is fast but not too fast. It’s loose but not too loose. It’s twisty and turny but not too janky. In short, you’ll probably have a better-than-average time with the only downside being that the descent demands a significant amount of concentration. I suggest stopping every now and then to take in the sublime views. Maps for the area can be tricky to find since there are so many names demarcating this site (Big Snowy, Ice Caves, Grand View). Instead, just look for the Crystal Lake area trail maps which show the possibilities. Not a descent for those who don’t like exposure or heights. Tight switchbacks on the Ice Caves trail. Counterclockwise is definitely the way to do this. These switchbacks and the preceding scree descents would not make for a good climb. Fast and technical singletrack on the Ice Caves descent. 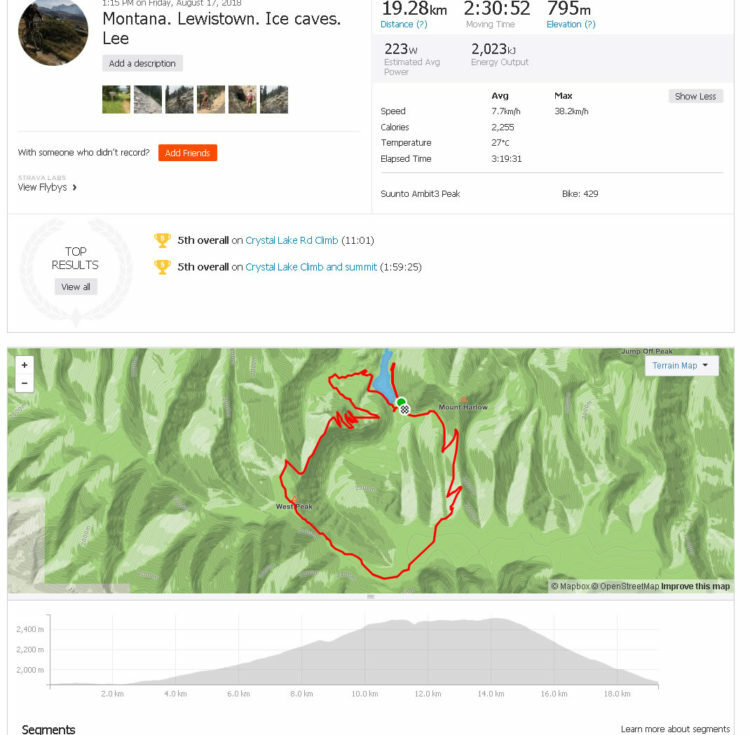 The Big Snowy / Grandview / Ice Caves route is administered by the Helena-Lewis and Clark National Forest. This arm of the US Forest Service is (sadly) part of US Forest Service Region 1. This is the same USFS region which seems to cave in to the Wilderness movement at the drop of a hat. 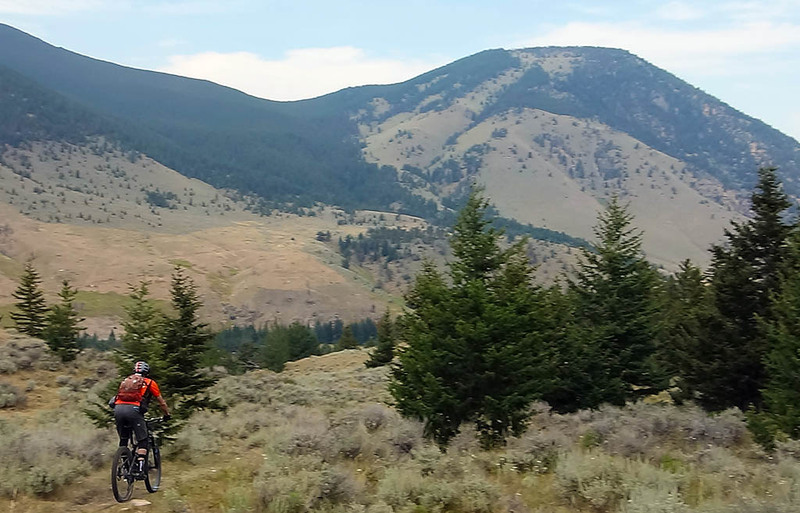 Unfortunately the Helena-Lewis and Clark unit has proposed travel plan revisions which could affect mountain bikers. One of the options in this plan is to expand Recommended Wilderness Areas and Wilderness Study Areas to encompass the Ice Caves route. 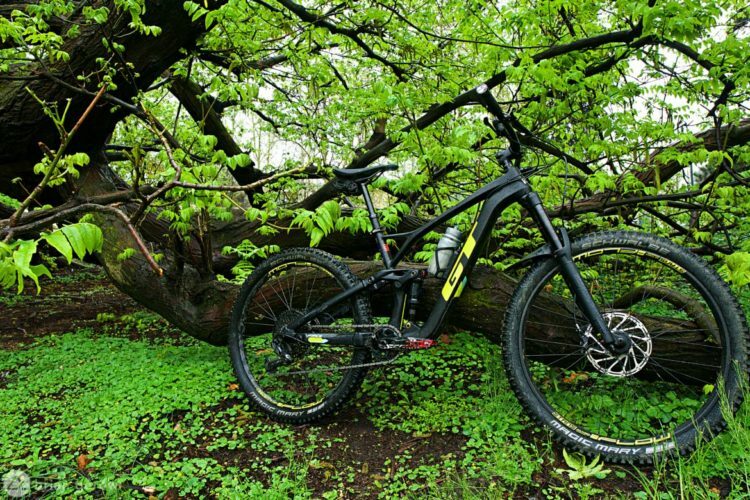 If that plan is approved, it will mean that this ride will be forbidden for mountain biking. As mentioned previously in part 2 of this series, neither a RWA nor a WSA is “Wilderness” in the sense of being designated by Congress. Both designations are a creation of a US Forest Service bureaucrat. 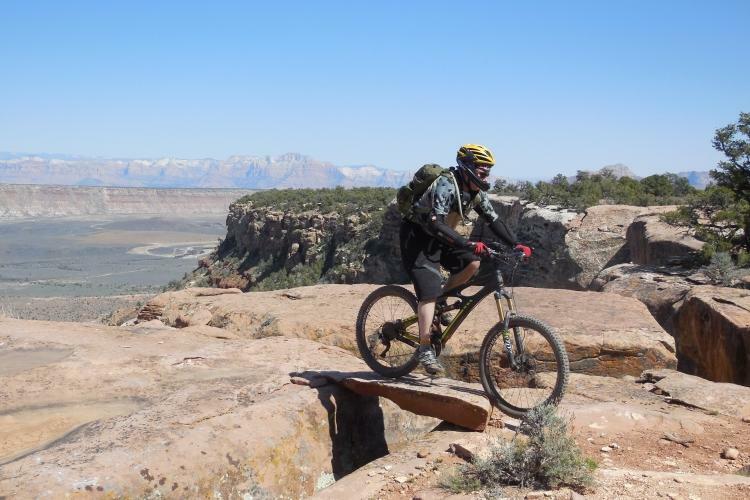 The “rule” that mountain biking should be banned if an area is RWA or WSA is a creation of a US Forest Service bureaucrat who was perhaps influenced by the threat of litigation. The Crystal Lake Campground was closed because the US Forest Service was busy clearcutting the forest to mitigate problem trees. 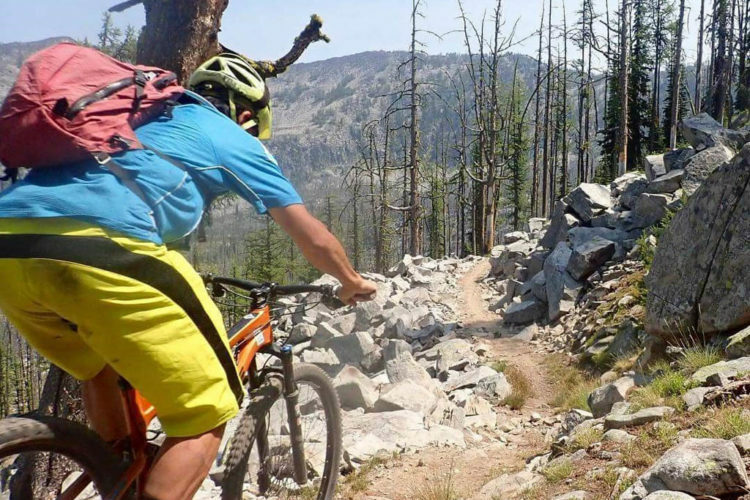 The twist in the Helena-Lewis and Clark National Forest travel plan proposal is that it lays the groundwork for prohibiting mountain biking not just in the quasi-wildernesses of RWAs and WSAs, but also in IRAs (Inventoried Roadless Areas). Now one might say, who cares what bureaucratic alphabet soup reason is dreamed up for the US Forest Service to prohibit mountain biking? A ban is a ban by any other name. However, it’s an interesting legal twist dreamed up the US Forest Service planning drones. With this, a US Forest Service bureaucrat may be able to designate public land as either IRA, WSA, or RWA and argue that these are quasi-wilderness lands which may one day in the future grow up to become Wilderness. Triple layering a trail into RWA, WSA, and/or IRA status therefore opens up three potential ways for bikes to be banned in the interim. 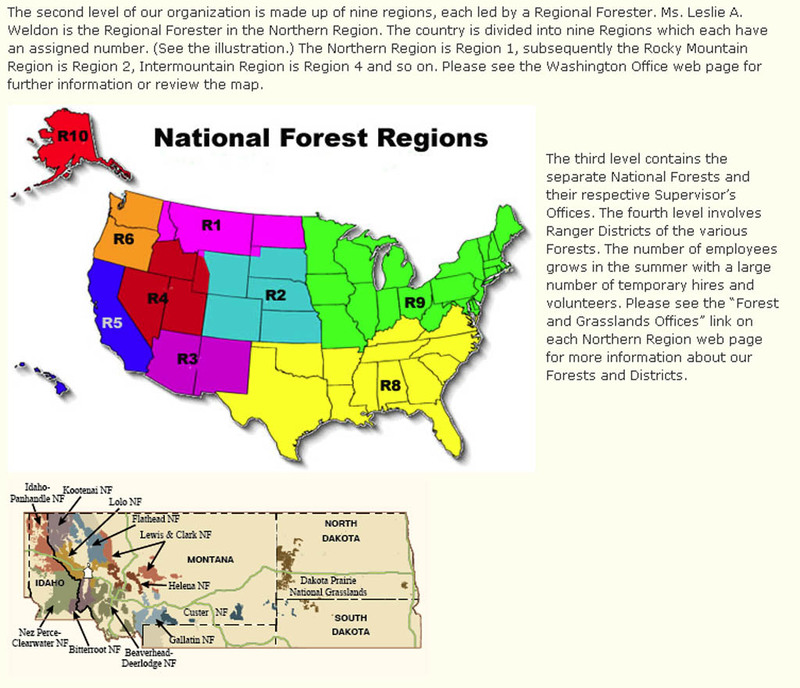 US Forest Service Region 1 includes all of Montana plus North Dakota and parts of Idaho, Wyoming, and South Dakota. Loomis notes that “riders love wilderness and invest their sweat, blood and muscles proving this over and over.” Through our actions, we can also potentially influence future policy. You know how how you look at awesome places to explore on a bike and you think “One day I’ll get there. 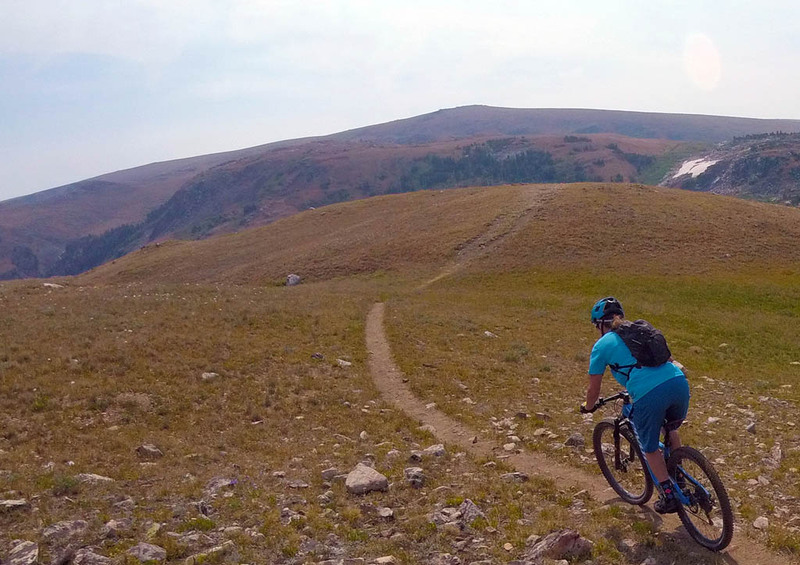 It ain’t going nowhere.” That isn’t the case in Montana where insanely beautiful alpine rides could easily be prohibited for mountain bikers in short order. Our trip was designed to check the best trails off our list before they are closed to bikes. It meant the driving-to-biking ratio was more than I normally would want. But high quality alpine rides are rare beasts. It stands to reason that they’re spread out. 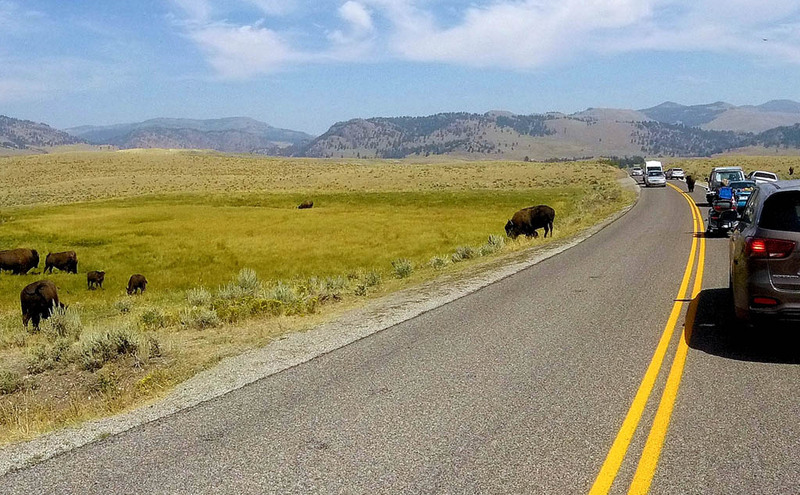 The inevitable traffic jam from selfie-taking tourists gaping at Yellowstone bison as we exited the park heading back to Montana via the Beartooth Highway. 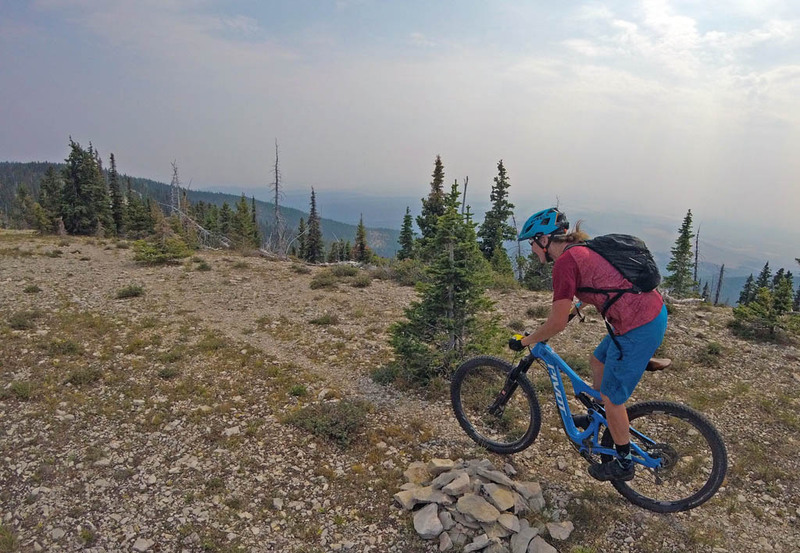 With that in mind, here are some general observations on Montana mountain bike road tripping. Even by Canadian standards Montana is big! The alpine zone in this area starts at about 2,500m+ above sea level, which is approximately 300m higher than in southern Canada. This means that if you aren’t acclimatized or used to lower oxygen levels you will suffer mightily. As with all alpine trails, these are technical and require solid all-around up and down skills. Expect punchy tech jank. Beginners will be taking their bikes for a walk. People tend to congregate in cities or towns. 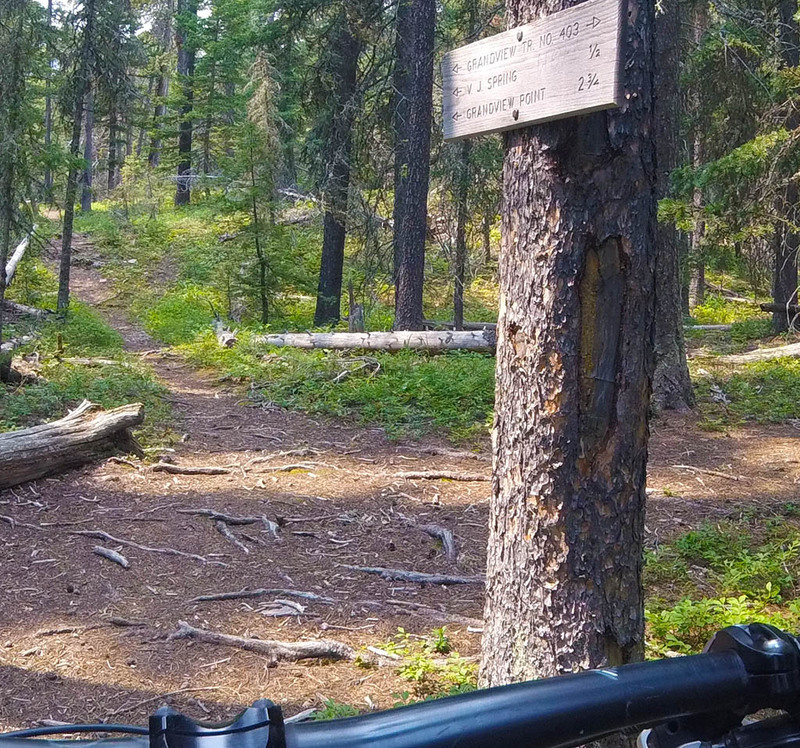 These alpine trails (or campgrounds close to them) don’t see a lot of people. Frontcountry riders should be prepared to change their mindset and be totally self-reliant and prepared. 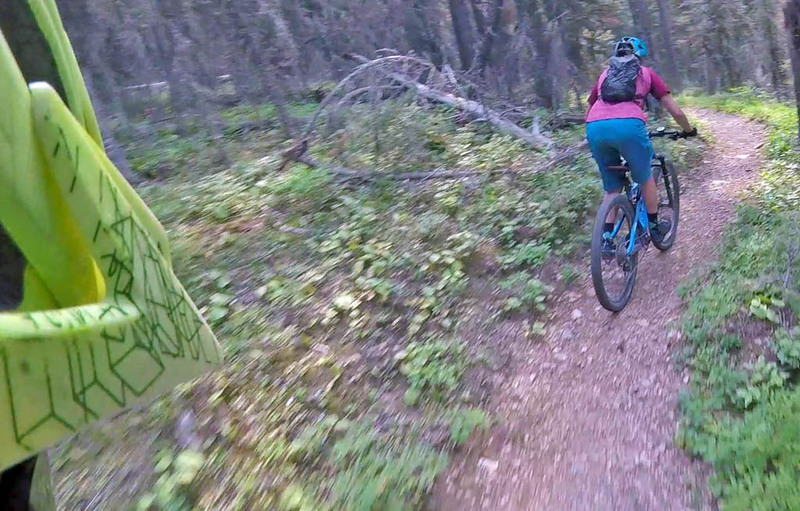 The latest enduro fanny pack plus water bottle will likely be insufficient. Because Montana is so big I wouldn’t do a trip like this again in a hurry. Instead I’d focus on a single region or close-together regions. The last time we were here we focused on Bozeman area rides. The next time I’m inclined to check out more of the Hamilton/Darby Bitterroots area (although watch out for Sheriff Larry Rose grrr.) There’s still a ton of legal riding in the Bitterroots especially around Hamilton, Lake Como, and Warm Springs/Sula. 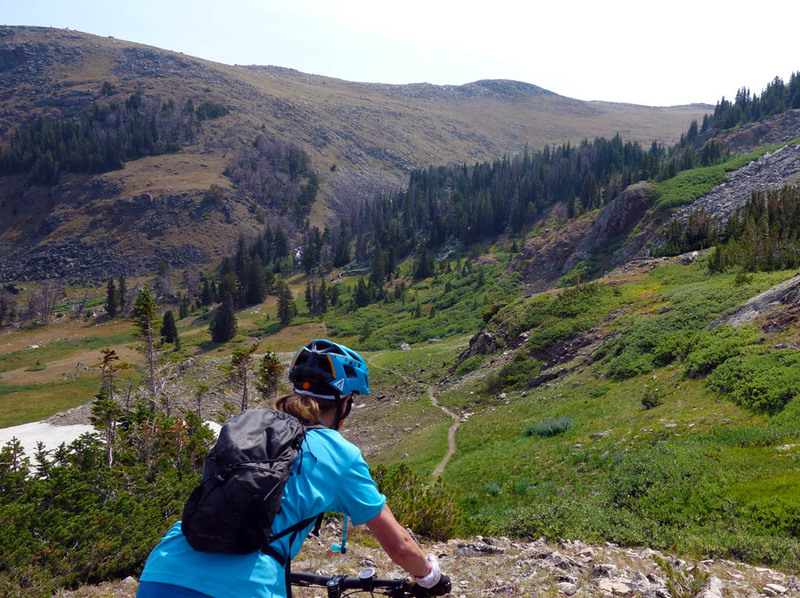 There’s also quite a bit of alpine riding in the area even with the Forest Service closures litigated by the Wilderness movement. 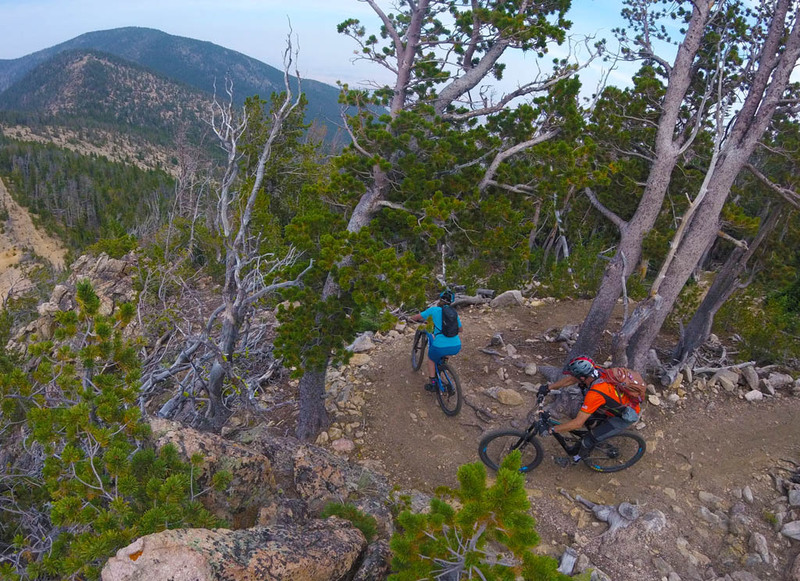 The Lost Trail Bike Fest looks like it would be a blast. Alternatively there’s room for exploration centered around the Lionhead and Centennials as a central point. Or Whitefish. Or Helena proper. Or the Bridgers. 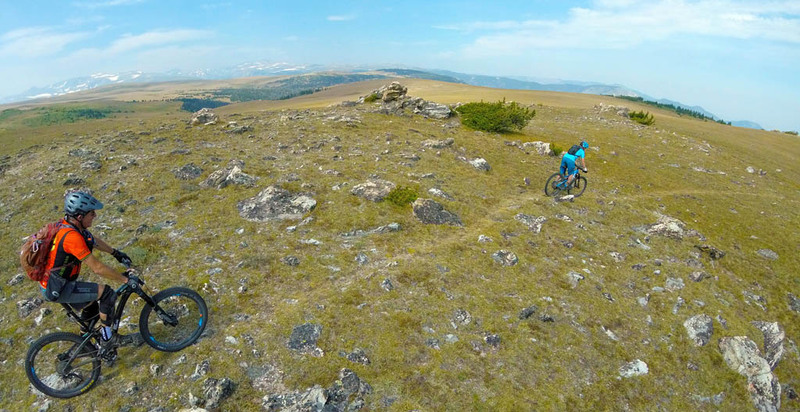 Montana is a big, big state with lots of room, lots of trails, and not many people. Hopefully this three-parter whets the appetite, doesn’t discourage one too much, and encourages people to treasure and lobby to preserve what they have. View from the Greenough Campsite toward Beartooth Pass. 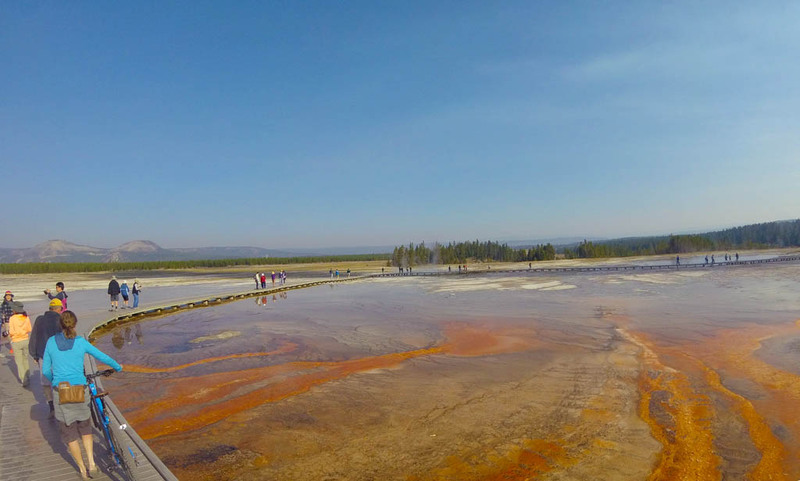 Note: we WALKED our bikes along the Grand Prismatic Springs boardwalks as we didn’t have our bike locks with us. To preserve Wilderness condescension points, we also rode our bikes to the Springs from where we parked so we had plenty of Gaia karma stored up. Beautiful shots as always. Excellent, but frightening article, especially in light of recent trends. 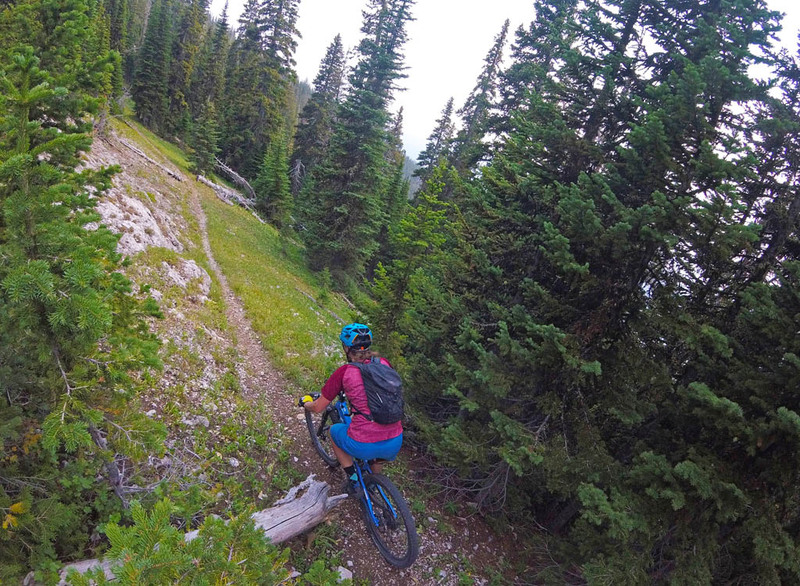 I have now ridden somewhere in the neighborhood of 600 distinct trails across 30 of our United States and a handful of your Canadian Provinces, including most of the big name, marquee routes. The two you detail here are in my all time top 10. Their loss as cycling routes would be incalculable. Great riding with you when visited. I’m expecting you back for the Lost Trails Bike Fest. All the acronym mumbo jumbo can get confusing, so I l thought I would take this chance the clarify some of the land designations. Let’s start with the Inventoried Roadless Areas (IRA) These were created during the Clinton Administration back in the 90s. Basically any roadless areas greater than 5000 acres qualifies. Road building and logging is banned in these areas and in general mountain bikers are supportive of IRAs since they maintain the backcountry quality we love. I guessing every ride you rode was in an IRA. 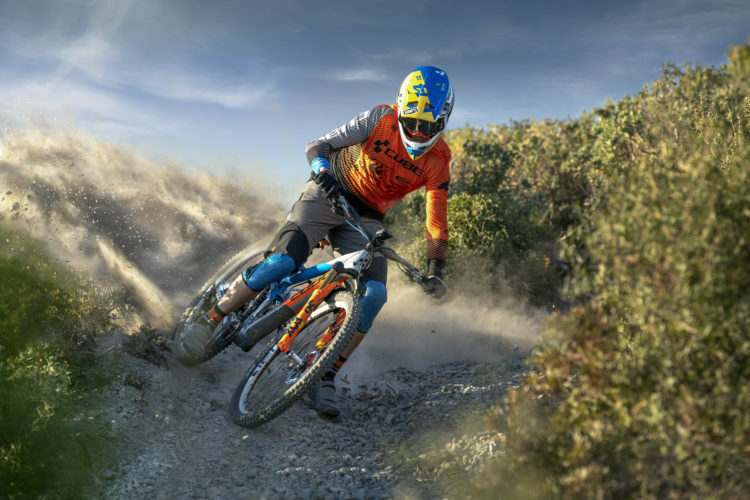 Guidance for IRAs recommends that mountain biking is an appropriate use. Even those of is who thunk that some the WSAs could be released, only believe that because they will still be protected by their IRA status. 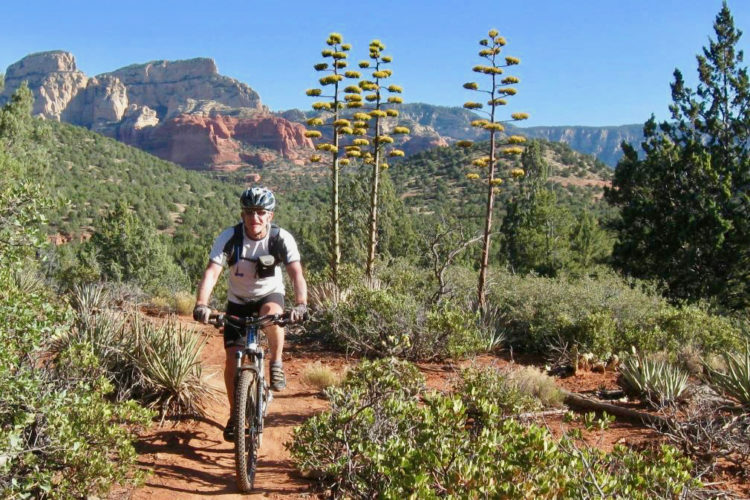 So in general IRAs make for great mountain biking. Now there are some totally extreme wilderness extremists who annually propose the NREPA bill in congress which would designate all the IRAs in Montana and Idaho as IRAs and would be end of mountain biking in those states. Congress also mandated that the Forest Service evaluate their holdings whenever they have a Forest Plan Revision to identify areas that are suitable for wilderness designation. This is where Recommended Wilderness comes from. So this is something that the Forest Service is required to do. Inevitably the IRAs will get evaluated for recommendation since they are big enough, roadless and pristine. The issues with Recommended Wilderness are two fold. First wilderness recommendations are a bit more subjective and susceptible to political influence. The second and bigger issue is how these areas are managed. Once a wilderness recommendation is made, the FS is obliged to maintain that wilderness character. Now managing wilderness character is not the same as managing it as wilderness and most of the National Forest Regions except for Montana and California (areas that have the great support for STC. 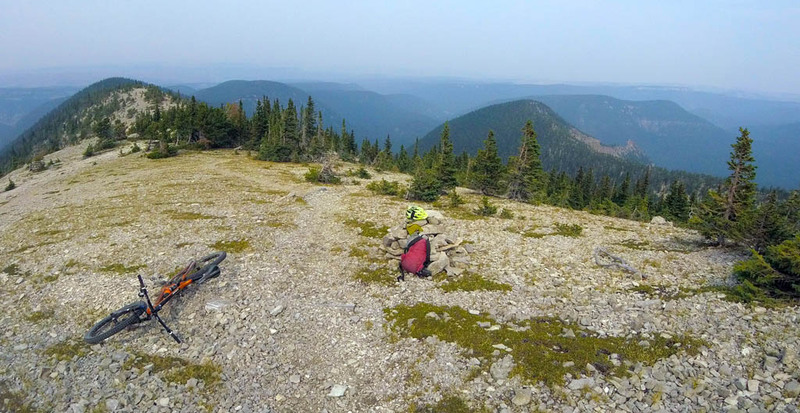 Hmmm I wonder if there is a connection) believe that transient use such as bikes don’t impact wilderness character since once you remove bikes the solitude and absence of bikes some people expect in wilderness return instantly. We saw this with the Boulder White Clouds. However here in Montana and eventually coming to a forest near you is a new philosophy that RW needs to be managed as wilderness. The scary point is the reason isn’t due to any presumed impacts, but rather it’s goal is to manage the political landscape. They fear that if bikes are allowed in these areas we might come to believe that maybe these lands need to be protected some other way than wilderness designation, and if there was a ever a bill in congress that would create a new wilderness we might just might write our senators and congressional representatives and say let’s find a different way. The wilderness community does want to have to negotiate or collaborate so we are being kicked off these trails in the hope that keeping the masses ignorant we make wilderness designation easier. OK, now to Wilderness Study Areas (WSA) So while the FS can create WSAs, the ones in question were created by congress in 1977, and the FS was directed to study them for their wilderness potential. That is why some of these areas are WSA plus RW That is what is happening right now in the Big Snowies. They have been WSAs since 1977 just like the Sapphires and Blue Joint. The National Forest in their areas is undergoing their forest plan revision as required and deciding where to draw the recommended wilderness boundaries as required, but as we have now discovered recommending wilderness is no longer done by actual studying the area, but rather by who has the most political pull to influence the process. So in the long run, a process that was created with good intents and should have been science based has been corrupted into a process to create an end run around the need to go to congress, where the wilderness people no longer have the sway to a get a wilderness designation. I could go on about WSAs, but I will leave at the intent of congress was not excluded bikes. They were clear that uses such as snowmobiles and motorcycles could continue. Unfortunately the same beliefs about managing RW now also apply to WSAs. Once again as an attempt to bypass congress and the preferences of most Montanans that we want these places protected. just not necessarily as wilderness.